NEWLY COMPLETED CONSTRUCTION- TOWNHOME LOCATED IN A LAKE COMMUNITY. $40K PRICE REDUCTION!! 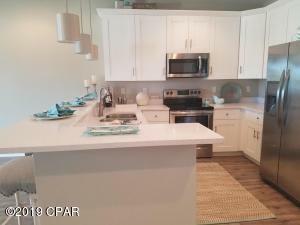 Townhome has a BEAUTIFUL VIEW OF THE LAKE from the Kitchen, Family Room & Balcony. 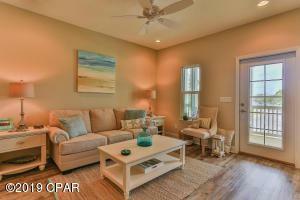 Perfect for Easy Access to Hwy 98, Airport, and minutes from the Beach and 30A. 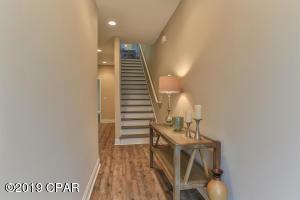 This spacious Townhome residence offers a one-car GARAGE, large pantry & lots of storage!! 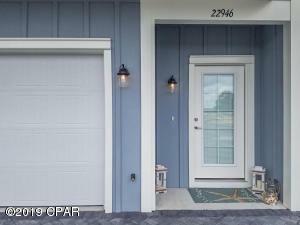 NEW 2018 AC, Hotwater Heater, and new stainless steel appliances including refrigerator, Quartz countertops, walk-in laundry room, all wood cabinetry with soft close (upgrade), WOOD FLOORING THROUGHOUT, ceiling fans, window treatments, Large Balcony with Lake View, impact rated doors and windows, Fencing Backyard for PETS and PRIVACY. Enjoy the waterfront lifestyle of boating, or kayaking on the lake or short walk to the beach. Boats are allowedon Lake Powell and a public boat ramp is at the end of the street. THIS NEWLY COMPLETED CONSTRUCTION TOWNHOME UNIT IS AVAILABLE NOW, INCLUDES UPGRADES, AND CURRENTLY PRICED $16,000* LESS THAN BUILDING 2 WHICH WILL BE COMPLETED LATE SPRING/SUMMER OF 2019 (*unit, 22944 Ann Miller). Only 25 total townhomes and 4 Buildings in this new lake community development. Community has a 30 day minimum rental restriction.